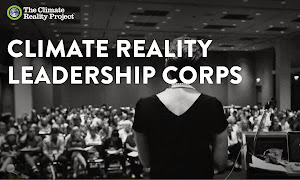 The Climate Reality Leadership Corps training in Miami, Florida, which will be held September 28-30, will bring together a select group of individuals committed to addressing the impacts of climate change and implementing the solutions that will define us to future generations. 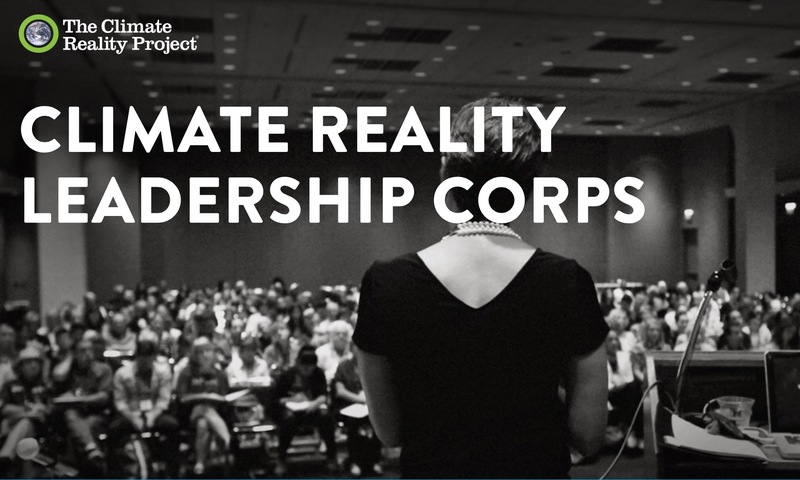 This training is an opportunity to join a global network of leaders committed to solving the climate crisis. In the struggle to solve the climate crisis, a powerful, largely unnoticed shift is taking place. The forward journey for human civilization will be difficult and dangerous, but it is now clear that we will ultimately prevail. The only question is how quickly we can accelerate and com- plete the transition to a low-carbon civilization. The “surprising – even shocking – good news” is “our ability to convert sunshine into usable energy . . . much cheaper far more rapidly than anyone had predicted,” Gore writes: the cost of photovoltaic electricity is competitive with that from other sources in at least 79 countries, and the 43% decrease in cost of wind- generated electricity since 2009 has made it cheaper than coal-generated electricity. By 2020 more than 80% of world population will live where photovoltaic electricity is competi- tive with other sources. Gore states that in the U.S. 166 coal-fired plants have closed or announced closings in the last 4.5 years, and 183 proposed coal-fired plants have been canceled since 2005. 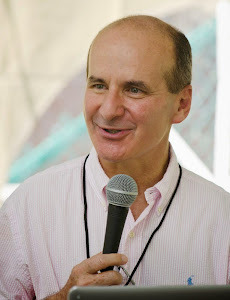 He acknowledges that some of this shift from coal is to natural gas obtained by hydrofracturing (“fracking”) but focuses on the emergence of “on-site and grid battery storage and microgrids,” noting that the Edison Electric Institute (the U.S. utility trade group) has labeled this trend as the “largest near-term threat” to the present elec- tric utility system. He likens this threat to that posed by cell phones to the landline telephone system. He cites Citigroup’s recognition of the decreased cost of solar and wind electricity and battery storage (long seen as a barrier to intermittent energy from renewable). In addition, he notes a reduction of 49% in energy intensity (energy in- put per dollar output in gross domestic product) since 1980. Gore observes that the Koch brothers have led the fight against rooftop solar electricity and for keeping the present fossil-fueled electric plants, one of their arguments being that net metering allows producers of solar electricity to benefit from the grid without paying for it. Al- though Gore neglects to mention that in net metering the utility pays the generator only the wholesale price for the surplus generation, he does note that solar electricity gen- eration has the advantage of peaking with electricity de- mand, thereby saving utilities from having to install new peak generation capacity (a point also made by keynoter Perez at the kickoff to develop the solar lessons for School Power Naturally, reported in our Winter 2003 issue). 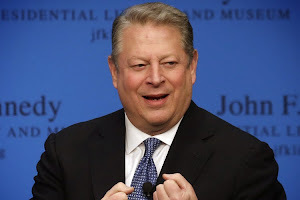 Gore likens global warming to a fever for planet Earth and notes that the presently-gathering El Niño is expected to result in a pronounced global temperature increase. (Coverage in our Winter 2010 issue of a talk to the American Physical Society and the American Association of Physics Teachers on 15 February 2010 by Judith Lean of the Naval Research Laboratory attributes this to the phase of the 22-year solar cycle.) He correlates the de- struction from Supertyphoon Haiyan and Superstorm Sandy with greater surface water temperature (5.4oF for the former, 9oF for the latter). He notes that higher water temperatures also mean higher sea level and disruption of water supplies that depend on snowmelt. And he adds that even more severe catastrophes are in the offing, like the irreversible collapse of a portion of the West Antarc- tic ice sheet. In addition to heightened sea level, warmer climate also means an atmosphere capable of holding more water vapor and delivering more severe storms, as have been seen in Pensacola (FL), and Nashville (TN). 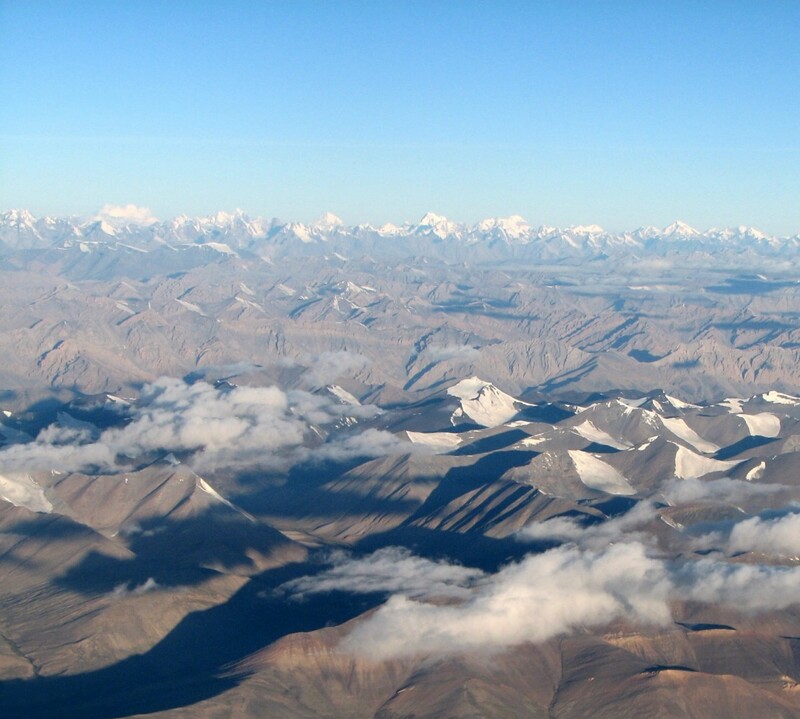 At the same time, global warming will exacerbate the dryness of the drier parts of the Earth through greater evaporation of what little water there is in the ground. Gore also observes that climate change brings concern to the military for both the safety of its bases and the new types of world conflict it will have to deal with. Gore concedes that these many “knock-on consequences of the climate crisis” are enough to cause anyone to despair. But, as he writes in his opening paragraph, “we will have to take care to guard against despair,” lest we become deterred from the action we must pursue. Though there be light at the end of the tunnel, he points out that we are in the tunnel. Among the things he says we need are “a price on carbon in our markets” and “green banks” to finance “green” projects. Though U.S. greenhouse gas emissions had decreased from 2008 to 2012, due to recovery from the recession, they increased 2.4% in 2013. Gore calls for the U.S. to match the European Union’s commitment to reduce carbon dioxide emissions 40% by 2030.